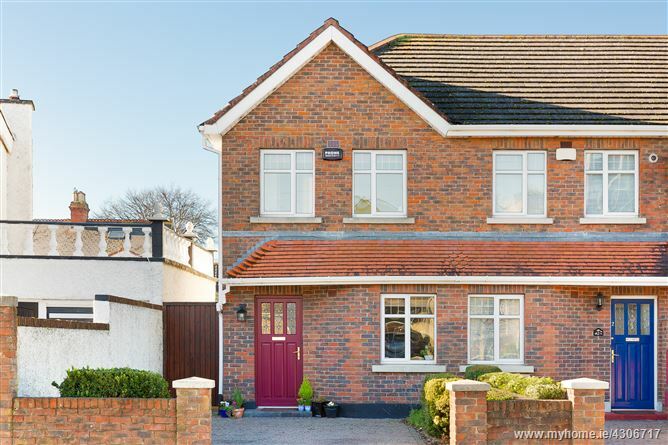 Mason Estates present to the market this fine two bedroom townhouse with private west facing garden to the rear and its own drive in to the front in this mature residential location within a stroll of Finglas Village. 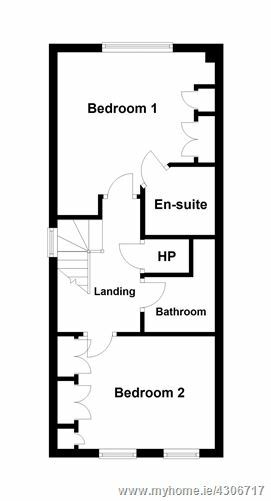 Accommodation briefly consists of an entrance hall leading to a kitchen to the front and spacious living room to the rear overlooking the rear garden. Upstairs there are two double bedrooms (main bedroom with en suite shower room) and bathroom. 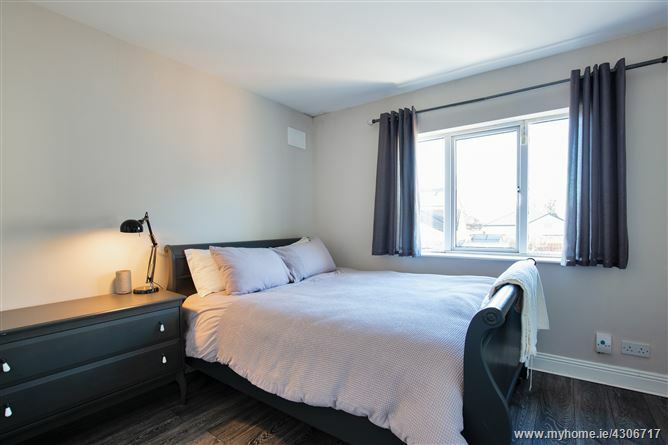 The property enjoys double glazed uPVC windows throughout, electric storage heating, timber flooring to bedrooms and living room, extensive fitted wardrobes and a sunny aspect to the rear and side entrance with storage shed. 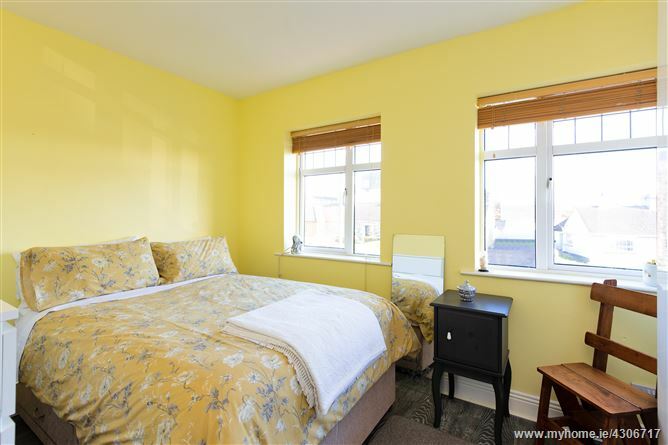 This property is ideally located close to many services and amenities including local schools and shops, Finglas Village, Charlestown Shopping Centre, IKEA and is within easy access to, M2 / M50, Dublin Airport, as well as the City Centre. •	End of Terrace with side entrance. Entrance hall with laminate timber floor, electric storage heater. 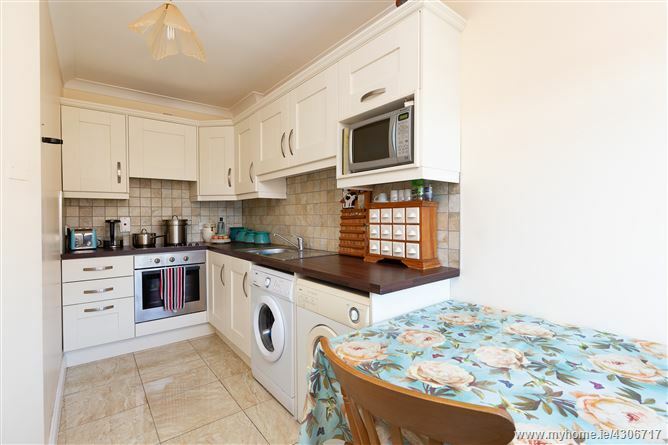 Range of fitted wall and floor units with stainless steel sink, integrated cooker, hob and extractor fan, plumbed for washing machine, tiled floor and splashback. Feature fireplace with open coal fire, laminate timber flooring, ceiling coving, under stair storage, patio door to rear garden. LANDING: Laminate timber flooring, hot press with dual immersion. EN-SUITE: Walk in shower unit with thermostatically controlled shower, w.c. and wash hand basin, tiled floor and part tiled walls. Double bedroom to the front, laminate timber floor, wall to wall wardrobes with storage. Bath with with electric shower, w.c. and wash hand basin, tiled floor and part-tiled walls. 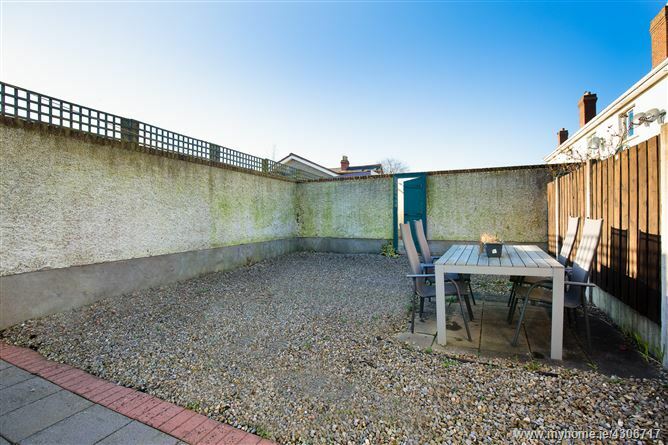 Private walled rear garden which is west facing and is laid out in easy maintenance style, partly paved, part in stones with a side entrance with large storage shed and door leading to front garden. Cobble-lock drive in to the front providing off street parking. Coming from the N2 take the exit for Finglas Village turning right over the motorway towards the village, take an immediate left after Super Value onto McKee Avenue. No. 1 Heath Square is situated on McKee Avenue and is on the left-hand side marked by a Mason Estates sign.